A POPULAR DESTINATION is an exploration in friendship—as idea, discourse and product. Our aim is to generate new forms of knowledge and understanding together—be they subjective, speculative, or something possessing more traditional value. This generation of knowledge and understanding will be exercised within the restrictions of temporality, place and contingency in a remote location (a Mountain Bothy in The Scottish Highlands). In this time of accelerating information, we seek temporary refuge in an isolated place. This escape is not a naive gesture — at the very least it will help us on a completely selfish level. It will make us feel better, physically and psychologically, and will remind us of the importance of the Earthly states for thinking, making and being. Moreover, the project is not idealistic —it is only a train journey away. Mountain Bothies are shelters in the Scottish Highlands used by mountaineers and maintained by a group of volunteers. 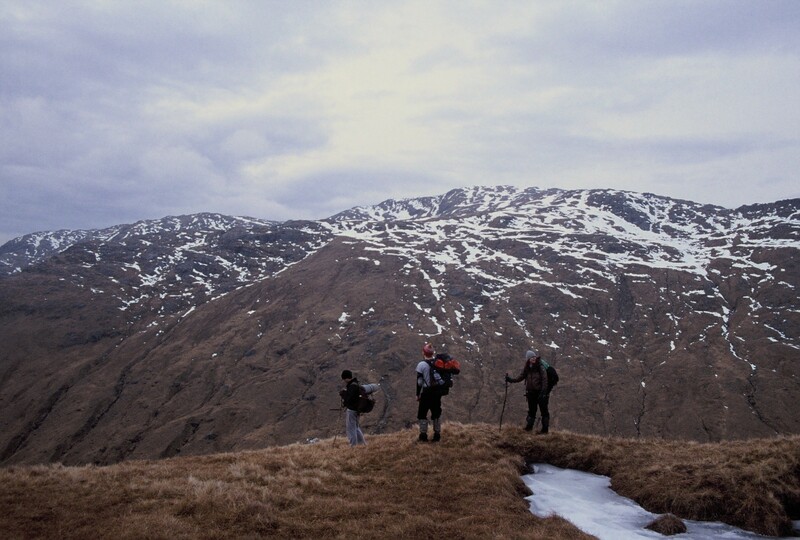 Mountain Bothies are scattered around the mountainous Highlands in secluded places, and mostly free of human contact. Typically, they are simple one or two room stone buildings containing some basic survival tools (somewhere to light a fire, supports for sleeping on— but no easy comforts). They offer a communal space that we can all share together— a collective solitude—as though at the end or beginning of the world. A group of friends will venture on this journey. Friendship contributes to our content, but beyond companionship, we seek communal thought and action. We do not require a material outcome – but are instead interested in what may or may not happen. Weather conditions in this area are harsh at the best of times. It is unpassable for much of the winter. Due to midges, it is unbearable during the summer. There is however a short liminal space at the end of winter and beginning of spring that is difficult yet strangely idyllic. Consequently, we will stay for ten days during this time. Accordingly, we are open to being subjected to the most dramatic something and/or the most melancholic nothing. At any rate we will experience and understand the event together. Importantly, the absence of a specific outcome is our drive, and contingency is our necessity. It is important that this experience is subject to the place in which it is had. This time will not be documented in a traditional sense – but rather through shared experience.